Compact Pro gives you complete control over your finish, from stunning wraps ! 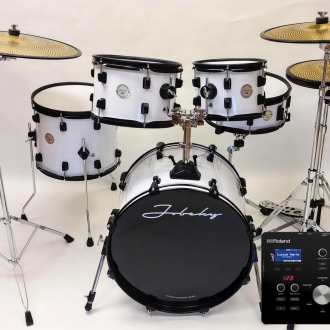 !We at Jobeky pride our self by giving you the best electronic drums on the planet but also affordable! Our new COMPACT PRO range gives you this plus more! The COMPACT PRO range is fitted with our ERT triggering system and comes with 3 ply mesh heads! 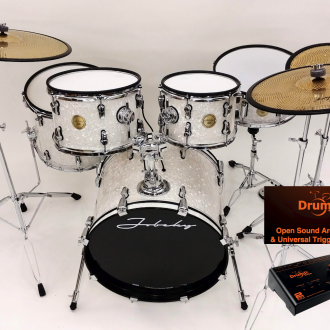 Fully responsive across each drum without any loss of sensitivity! 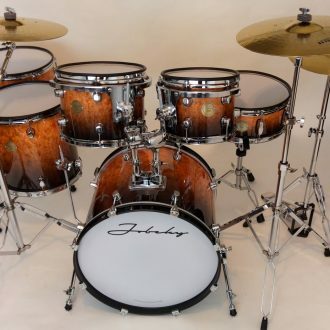 All in fusion sizes to give you that real feel like playing an acoustic drum set! 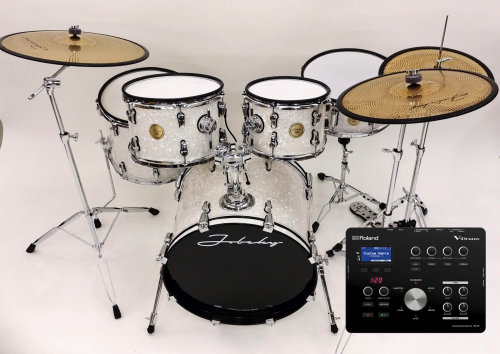 Our ERT triggering system is different to any trigger system available in any electronic drums and was developed by Jobeky to give you that optimum playing experience. If you have any questions about any of our products please don’t hesitate to contact us. *Snare and toms come with pro rubber rim which is removable. The TD-25 offers a superior drumming experience, thanks to Roland’s SuperNATURAL technology with Behaviour Modelling inherited from the flagship TD-30. Going far beyond typical drum modules, the TD-25’s sounds respond naturally and organically to your playing just like real acoustic drums. From rim shots, rolls, flams, and ghost notes on the snare to dramatic crash hits and sustained cymbal swells, every nuance is accurate and smooth. 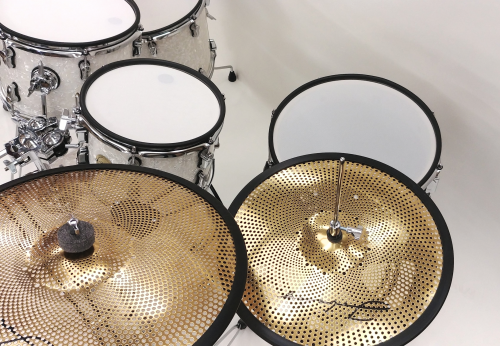 To further extend the natural playing feel, the TD-25 provides positional snare sensing with compatible Roland drum pads, and also supports the VH-11 V-Hi-Hat for authentic hi-hat playing techniques. 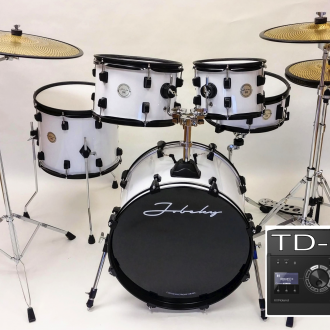 To provide simplistic editing and customization of the sounds the TD-25 features a speedy one hit selection. Simply hit the desired pad to call up the assigned sound and then use the module controls to skip through instruments, adjust the pitch, muffling and levels. 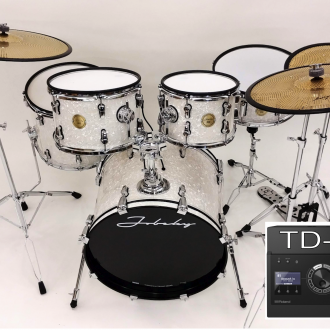 Also incorporating fast track shortcuts the TD-25K allows you to adjust the sounds, muffling and tuning of all the toms simultaneously to avoid unmatched tones and to save time when editing on the go. All edits are automatically saved to the module but can be undone and returned to their original state. 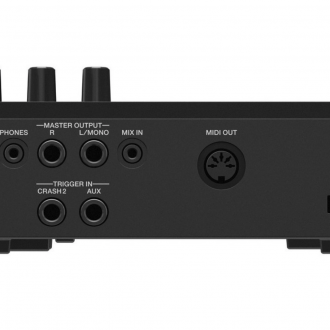 Featuring a built in USB connection the TD-25K allows you to plug in a USB memory stick and jam along to all your favourite WAV or MP3 songs. Also incorporating unique features such as section looping and reduced playback speed the TD-25K lets you easily learn fast fills and work on particular song sections. Additionally you can connect your smart phone or portable music device via the audio input to play along with tracks and use the USB connection to record audio copies of your performance. Jobeky 600 series Hardware: We provide our new heavy duty stands with a polished chrome finish, heavy OMNI-BALL tom holder which allow perfect positioning of your toms with the minimum of fuss mounted on the bass drum For maximum flexibility, we also provide with the kit, snare stand,hi-hat stand, 1x straight cymbal stand 1 x boom cymbal stand. Electronic Bass Drum: A 20” x 14” constructed to our exacting internal standards using an all 7.5mm wood shell, and an 16 lug design with a traditional hoop and claw. Finally an electronic bass drum looks like a real acoustic! 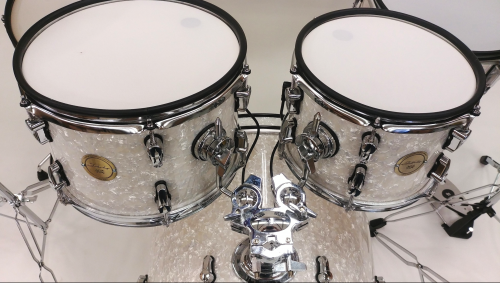 Featuring almost silent play mesh heads, and with an amazing performance level this bass drum really turns heads,( Optional )Wire-in-wire-out technology built into the bass drum for easy connection of the rack toms, the genius idea gives your more control over your cables for better cable management! Construction: The Jobeky COMPACT PRO offers extraordinary strength and rigidity when set up, but is also lightweight and easy to transport. 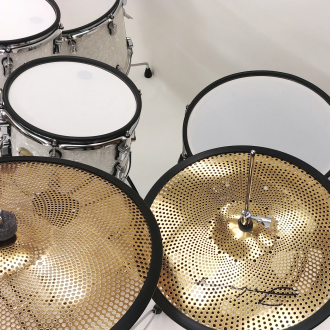 This kit a truly stunning centerpoint of any practice room or stage. This setup can handle the hardest of heavy hitters without ever missing a beat! Compact Pro gives you complete control over your finish ! stock kits comes in Gloss white but you can use the drop down to select different custom wraps ! 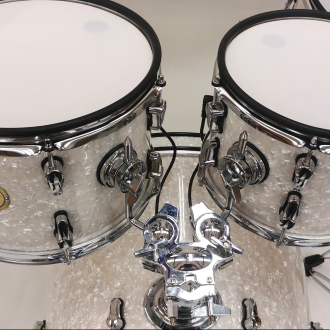 we also have many other wraps to on our Drum Finishes page please check these out !